Everyone starts out a painting project with big dreams and high hopes in mind. 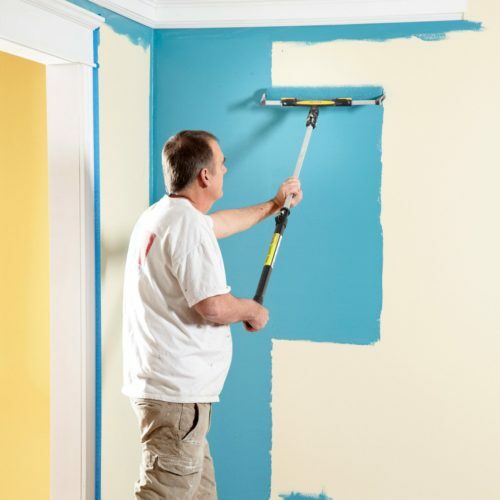 Sadly, most of the most common mistakes people make when painting walls happen before they even finish the first coat. Don’t fall victim to these pitfalls that can ruin your project before it even starts. Buy more paint than you think you’ll need. Always. Period. You do not want to stop in the middle of your project to go back to the store for more paint. Sometimes I have made this mistake, and come to find out that the second can is slightly different. I ended up having to repaint the entire room, again! Extra paint is great to have around for touch-ups, so don’t worry if you have little more than you need. Paint brushes are not one-size fits all and there’s a reason why some brushes are $20 a piece and others are .97 cents. The cheaper brushes loose their bristles (all over your wall as you paint), don’t absorb too much paint, and create streaks. High-Quality paint brushes have their bristles clamped together well. The bristles are usually made from a polyester and nylon blend, giving a soft touch. This softer touch results in a smoother finish. This Wooster Paintbrush is my ultimate favorite, and for $5 you can’t find a better deal. This brush is unlike any other because of its short handle, that allows you to brush back and forth easily. Mine has lasted for years! #9 Too much paint on your brush. There is no reason why the paint should ever touch the metal part of your brush. Only dip in one-third of the way into the can, otherwise, you’ll have a dripping mess (and be wasting paint). Most of us are good at this rule the first 10 minutes of painting, but excitement, or impatience causes us to dip that brush as deep as we can. Stay strong! You can do this! Waiting until the paint is completely dry is a big no-no. 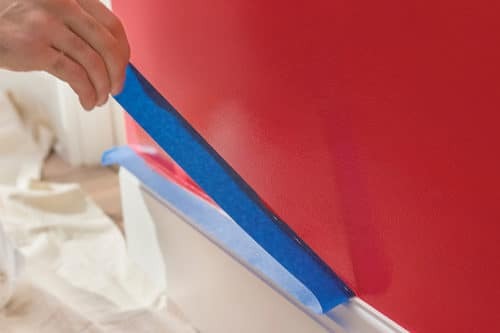 Painters tape is best removed right after you apply the paint if you wait too long you might pull off the paint with the tape which leaves messy lines. Carefully pull away from the paint tape at a 45-degree angle. If some of the paint seeps in, wipe it away with a damp cloth that you have ready in your hand. Of course, too much paint dripping off would never happen to you, right? (see #9). 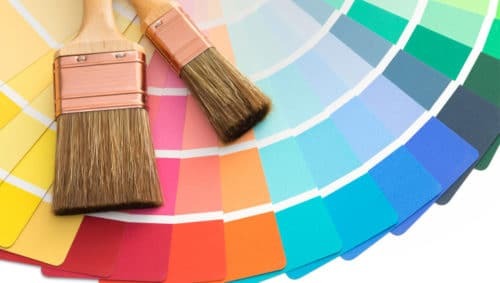 If you are painting a bathroom did you know you need a different paint that if you are painting a bedroom or living room? Kitchen is a different paint as well. I have an entire article on the different sheens of paint, you can read for details. The short story is, you need a high- gloss paint for high traffic, humid rooms. This paint is more durable and has a harder finish that is easier to clean as well. This paint is more expensive and has a shinier finish, so if you don’t need high-gloss or semi-gloss you will want an egg shell or satin finish. Think about your room and then pick the right paint. I know, you what it done and you want it done fast. But if you also want your wall to be painted correctly, and look beautiful when you’re finally finished, you can’t rush it. Let the first coat dry completely before going at it a second time. Usually, this means overnight (at least). I know, but this is one of those things that seperates the professionals from the home owner. They give it over night to get a good dry coat of paint. One thick coat paint might be easier to apply, but it’s going to look like one gloopy mess when you’re done. 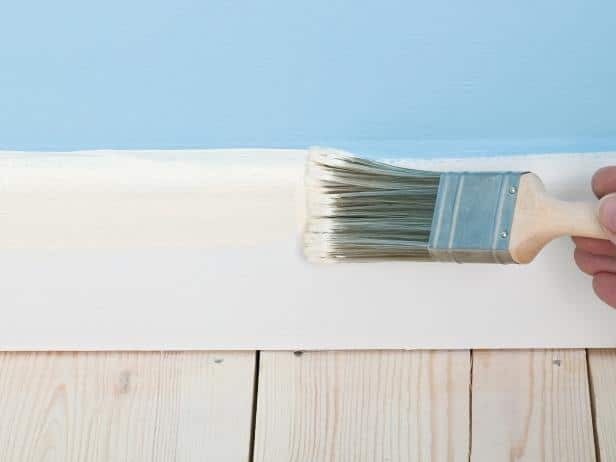 The best way to evenly distribute paint is to roll off the excess from your paint roller. 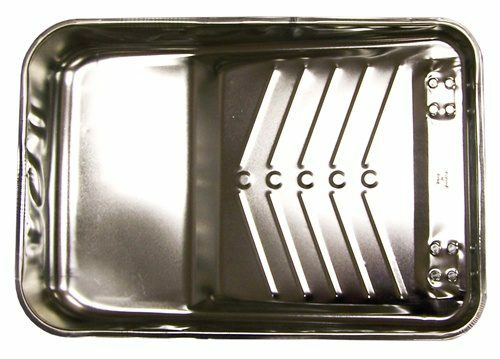 Paint trays are made with smooth ridges that are perfect for removing excess paint off your roller. Dip your paint in the far end of your tin, then roll it up 2-3 times against the ridges. Your roller should be covered in paint but not dripping. Paint is paint, it’s not a gap filler. When you come across a hole in your wall, even if it is a pin size hole. you can’t fill it with paint. The air trapped in the hole will push out the paint and give you…a hole. Caulk first, before you lift any paint brushes. Then paint. 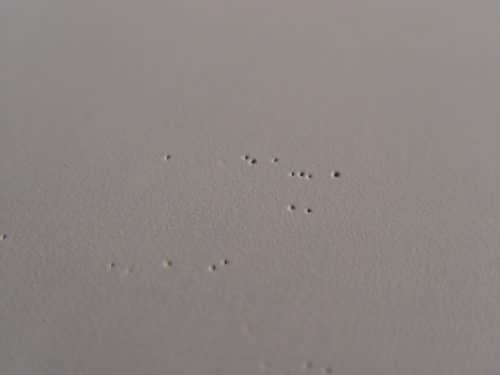 If you find some holes after you paint, fill them with drywall mud or caulk, then repaint that area. Trust me, walls are gross. Even brand new walls constructed only weeks ago are still dirty. Clean your wall first. If they are new walls, use a slightly damp rag to remove all dust so the paint adheres to the surface. If the walls are older, grab your scrub brush and baking soda and go to town! Clean them now or enjoy the look of caked on dust you’ll stare at for years. Painting walls is a lot of work, and we aren’t trying to add to it, but it’s worth the time it takes to transfer a small amount of paint to another container rather than painting directly from the gallon. A full gallon is heavy, easy to spill, and it’s hard to load a paintbrush or roller correctly from a gallon. Oh this drives me crazy, and it will drive you crazy if you do this too. 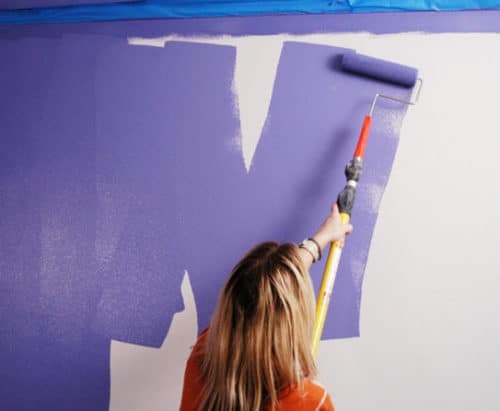 When you apply paint to a wall you should paint in a V or W shape. Take the roller up and down the wall angling it slightly. Overlap your W so it has a solid smooth finish. 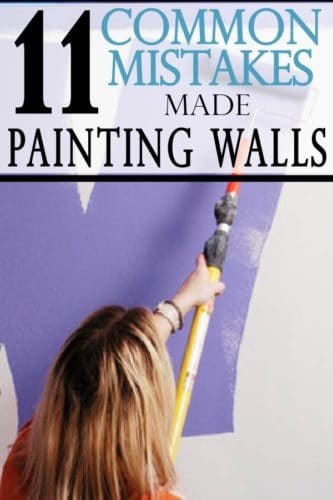 When people paint vertically, your wall will show those lines, the paint will be thicker where it overlapped and lighter and thinner where it wasn’t. I can’t believe how many people do this mistake, but please of all the tips, remember this one. I hope you learned a few new tips for your upcoming project. What room are you painting? If you loved these tips, pin the article to remember later!